Unleashing Kiddie Stars at the Promil Pre-School i-Shine Talent Camp 2! 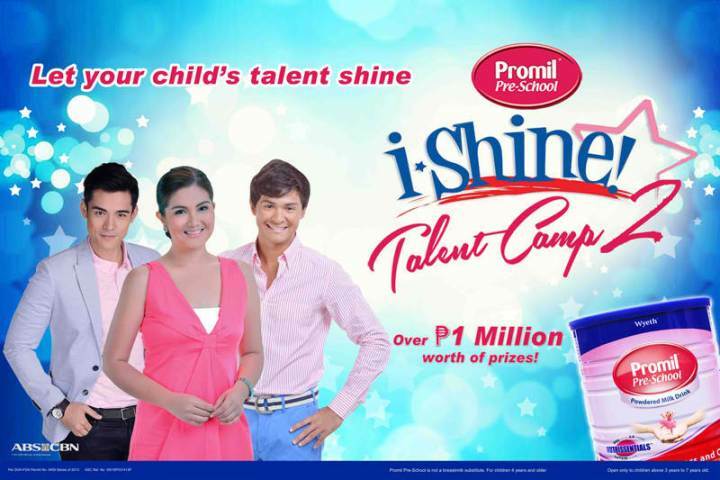 Promil Pre-school i-Shine Talent Camp 2013 is now searching for the country’s next big star! Are you considering to have your child join this reality TV program? Your child could be one of the twelve finalists that will be chosen to undergo a series of talent-enhancement workshops to be aired aired on ABS-CBN . Top-caliber mentors of the station will coach them and evaluate their development throughout the course of the workshops. Viewers can also learn practical tips on how they can further hone their child’s gifts. The program will be hosted by talented actress and mom Dimples Romana, along with the equally talented matinee idols Matteo Guidicelli and Xian Lim, the search for the most talented children in the country began on April 1 and will end on May 19, 2013. Purchase a minimum P250 worth of Promil Pre-School and prepare your child to sing, dance, or act live! Take your child to the following mall events to audition: April 20 at SM City San Pablo, Laguna, April 27 at SM Rosales, Pangasinan, May 1 at SM MOA, Pasay, May 4 at Abreeza, Davao City and May 12 at Ayala Center, Cebu City. Please note that you can also record your child’s talents in a CD and mail to ABS-CBN Sgt. Esguerra Ave., cor Mother Ignacia St., QC, 1103 or Wyeth Nutrition P.O. box no. 1207.